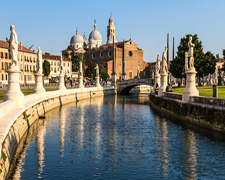 A 7 night tour offers guests a chance to uncover the gems of the Veneto region in Northeast Italy .Discover the architectural treasures in the city of Padua ,visit the local winemakers in the Conegliano wine region to taste and learn about Prosecco. drive through the countryside to the city of Asolo with stunning mountain views . Then spend 2 days in Castellano giving you time to explore at your own speed . 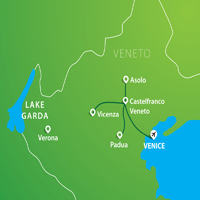 There are easy rail links to Venice . This holiday includes staying in a 4* hotel ,half board ,all excursions , flights and transfers from £1399 pp. Day 1 | Arrive on your chosen flight to Venice and transfer to the Hotel Alla Torre in Castelfranco Veneto. In the evening meet your Tour Manager and fellow travellers. Day 2 | A short drive away lies the pretty town of Asolo, known as ‘the town of a hundred horizons’ for its wonderful mountain views. Loved by residents Freya Stark and Robert Browning, it’s also home to works by Venetian artists Giorgione and Veronese. Day 3 | The nearby city of Vicenza has a wealth of neo-classical treasures by the 16th century architect Andrea Palladio. A walking tour of the centre will visit the Teatro Olimpico and the Basilica. In the afternoon we’ll head out to the countryside to visit Palladio’s famous villa, La Rotonda (subject to availability), which so influenced 17th century British style. Day 4 | There is a chance to relax today and explore the delights of medieval Castelfranco. Day 5 | The beautiful city of Padua lies less than an hour’s drive away and today we’ll visit with a local guide the famous Scrovengi Chapel to see amazing 14th century frescoes by Giotto. There will then be time to visit the historical city centre and the Basilica where St Anthony of Padua lies buried. Before heading home we have time to see the world’s oldest botanical garden created in 1545 and now a UNESCO World Heritage site. Day 6 | Fruity, sparkling Prosecco has become very popular lately and so today we learn a little more about it with a visit to the vineyards of the Conegliano and Valdobbiadene regions. The landscape is beautiful with ancient villages, churches and impressive abbeys surrounded by splendid vines. We visit the cellars of a winemaker and enjoy wine tasting and a light lunch of local products. Day 7 | Today you have another opportunity to relax in Castelfranco or you could choose to take a train to visit the inimitable city of Venice. 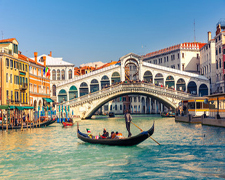 Day 8 | Transfer to Venice airport for your flight home or continue with your holiday by enjoying one of our great destinations such as Venice, Florence or Lake Garda.